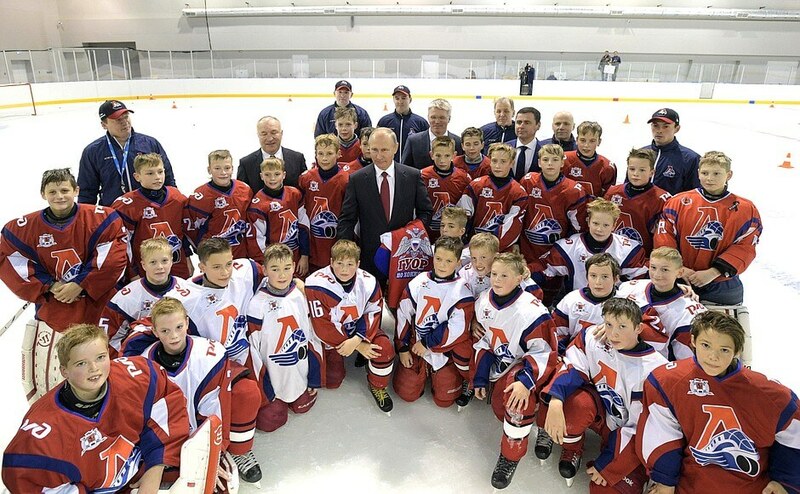 Vladimir Putin visited the new public Olympic Reserve hockey school. Russian President toured the center and talked with young athletes. 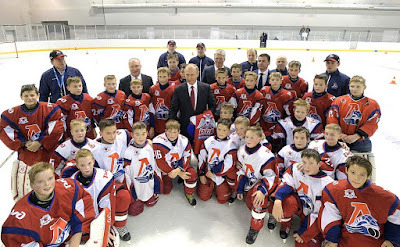 Vladimir Putin with members of the Lokomotiv children’s hockey team. Russian President heard, among other things, about the school, stages of its construction and methods that are used to train young hockey players. Vladimir Putin visited a gym where the so-called shot zones are located. They allow hockey players to improve the precision of their shots. During his visit to the school, President Putin talked with members of the Lokomotiv children’s hockey team during a training session. 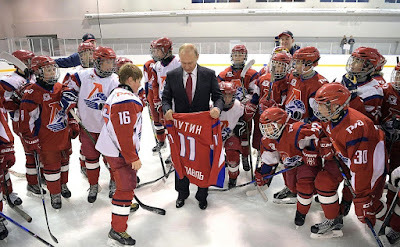 The young athletes presented Vladimir Putin with a hockey jersey. 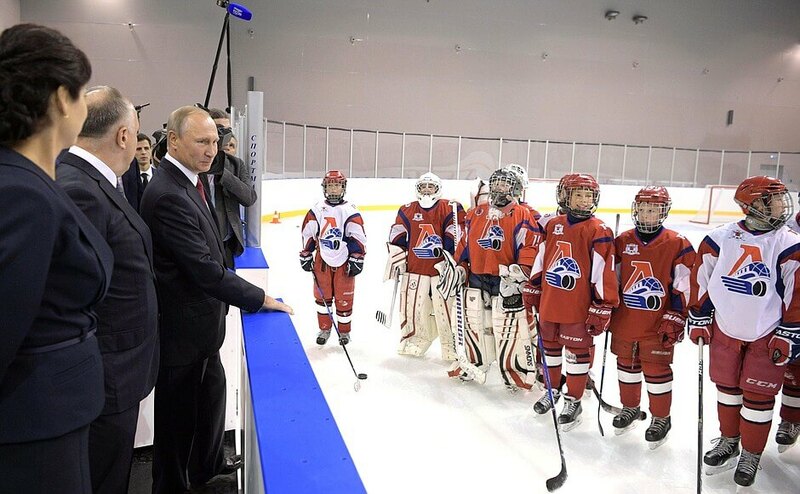 Vladimir Putin visits the new public Olympic Reserve hockey school. 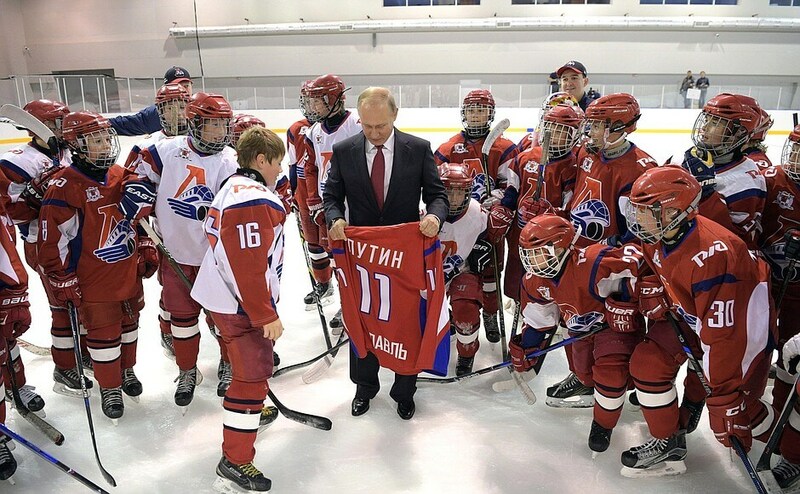 Russian President with members of the Lokomotiv children’s hockey team. Vladimir Putin visits the new public Olympic Reserve hockey school. 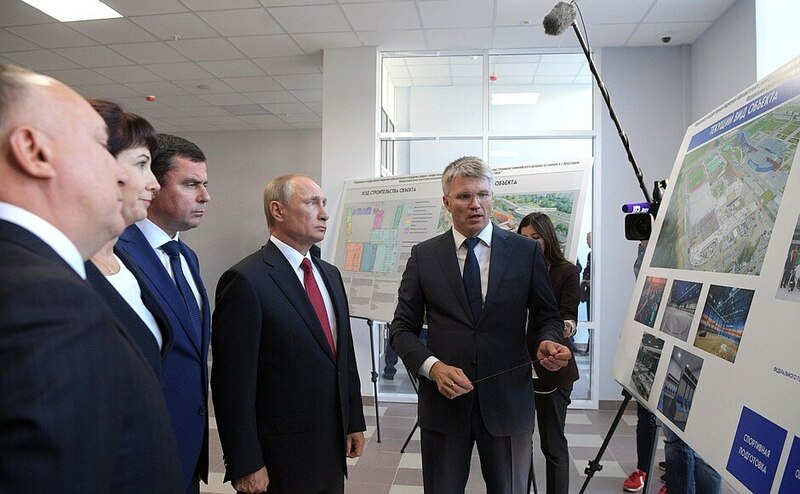 Vladimir Putin with Sports Minister Pavel Kolobkov at the new public Olympic Reserve hockey school. 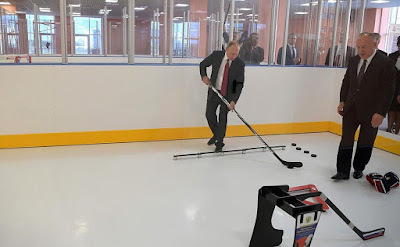 Vladimir Putin playing hockey at the new public Olympic Reserve hockey school. 0 Comment to "Putin visited the new hockey school in Yaroslavl"